Volodymyr Hulevych placed under house arrest. 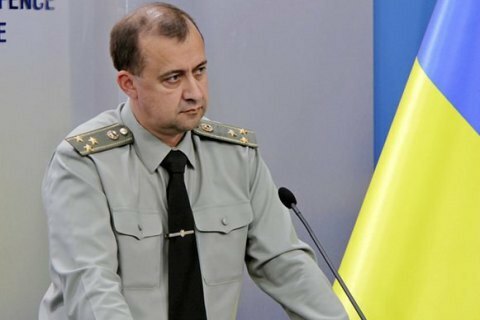 Kyiv's Solomyansky district court on 12 October refused to arrest and placed under house arrest the director of Defence Ministry's public procurement department Volodymyr Hulevych, who is suspected 149-mn hryvnia embezzlement. Judge Oleksandr Bobrovnyk dismissed the request of the Specialized Anti-Corruption Prosecutor's Office about the arrest of Hulevych. At the same time, the court placed Hulevych under 24/7 house arrest, ordered him to wear an electronic bracelet, and turn in his foreign passport. The prosecution asked the court to take Hulevych in custody for two months under a 10.3 mn hryvnia bail. On 11 October, the detectives of NABU detained four suspects in a case of embezzlement during the procurement of fuel for the army. They reported suspicion to two high-ranking defence ministry officials – Ihor Pavlovskyy, and the Director of the Department of Public Procurements and Material Support Volodymyr Hulevych. In the evening of October 12, the Deputy Defence Minister Pavlovsky was palced under house arrest.